Prior to being named senior winemaker at Sterling Vineyards, Hansen held the position of director of winemaking for Edna Valley. 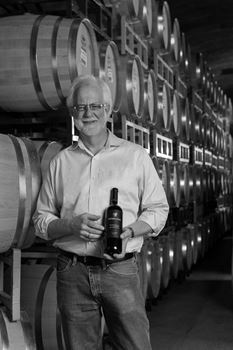 Hansen's tenure with Edna Valley began in 2001 as winemaker and was ultimately promoted to director of winemaking in 2008. Education: Harry has a degree in genetics from University of California, Davis and went on to receive his master's in enology, also from Davis. Commitment to quality, vision, and teamwork.